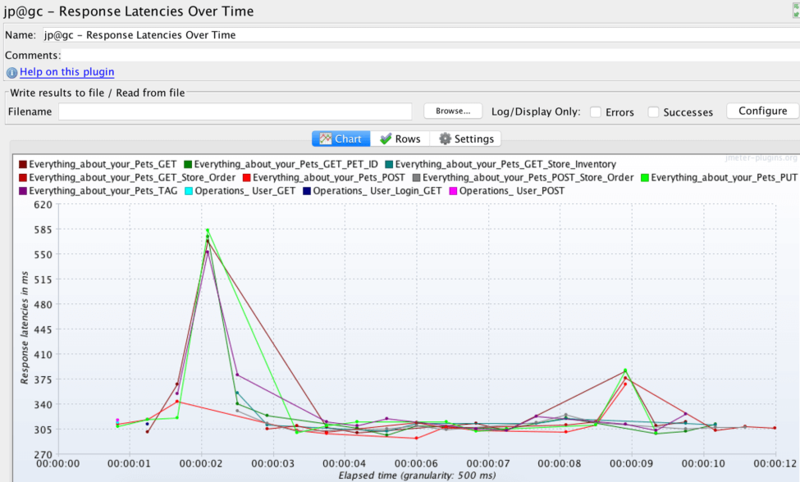 In this continuing series, we take a look at Listeners in JMeter that calculate distribution metrics. Read on for more info! Welcome to Part III of our JMeter Listeners series. In part 1 we explained about listeners that have basic displays. In Part II we went over listeners that aggregate data samples. This time, we will cover listeners that calculate distribution metrics. All of the KPIs and metrics described in these listeners let organizations measure their results and success, according to their business parameters. 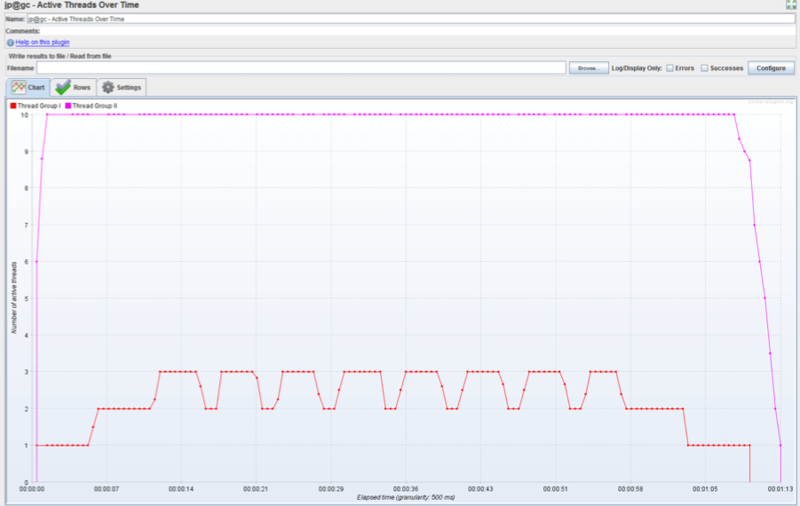 In the context of load testing, they let you determine if you can withstand different loads on your backend servers. All listeners can be found by right clicking the test plan Add > Listeners. 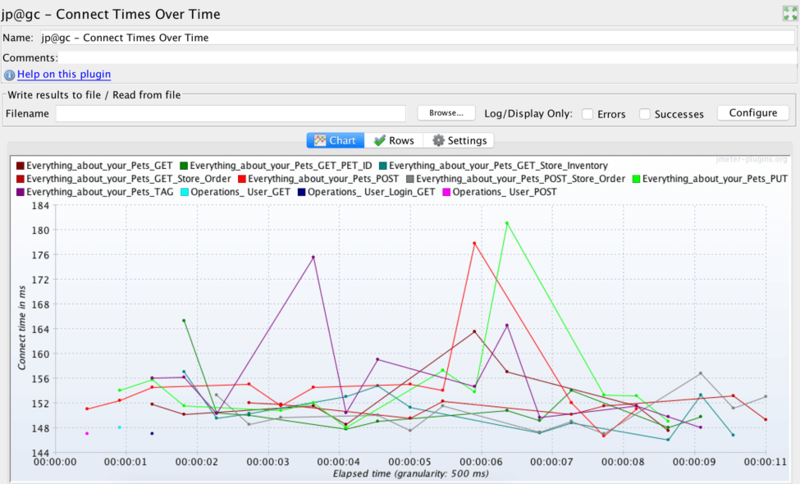 A JMeter Listener will only collect data from JMeter elements at or above its level. For a more detailed explanation see the first blog post in this series. Read on to learn about 12 key listeners that will help you analyze your load. 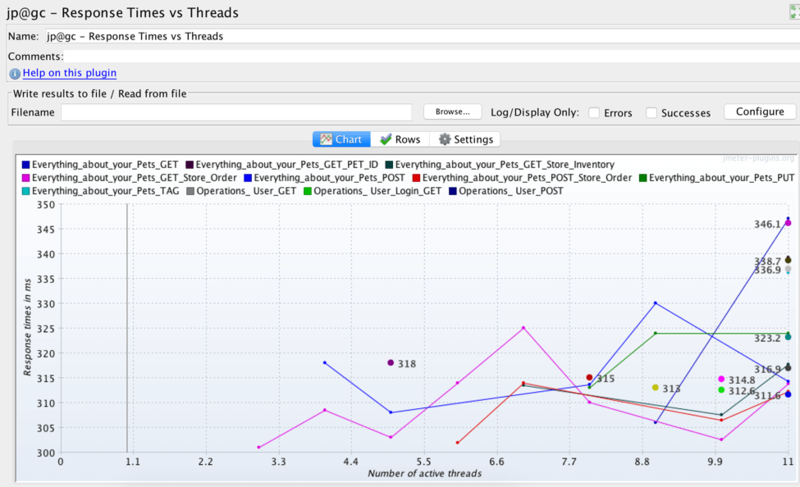 The Active Threads Over Time listener shows how the number of active threads changes over the course of the test, for each thread group in the test. The Chart tab shows the results in line chart format, and the Rows tab shows the results in bar format as well. 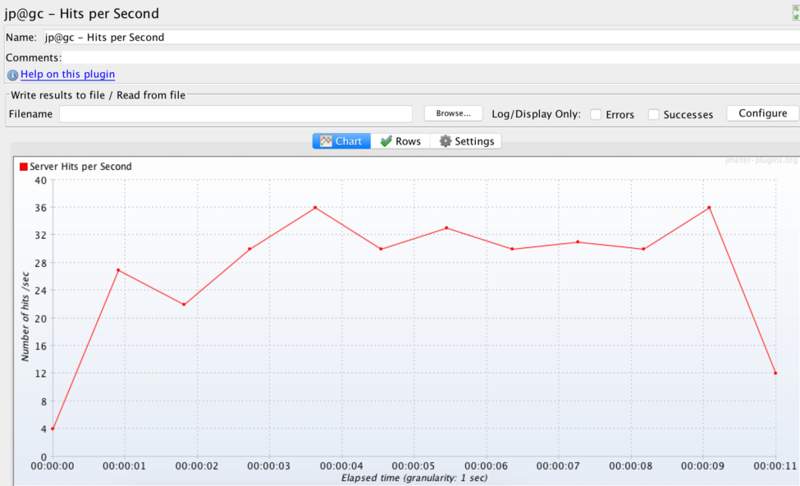 In the Settings tab you can configure the graph plotting display. Through this graph, you can monitor the simultaneous connections in your scenario and discover bottlenecks. This listener shows the connect times for every sample of the script throughout the test, i.e., the time it takes to establish connections over the test for each sampler. Connection time should be as low as possible, and its success rate should be defined according to your business goals. 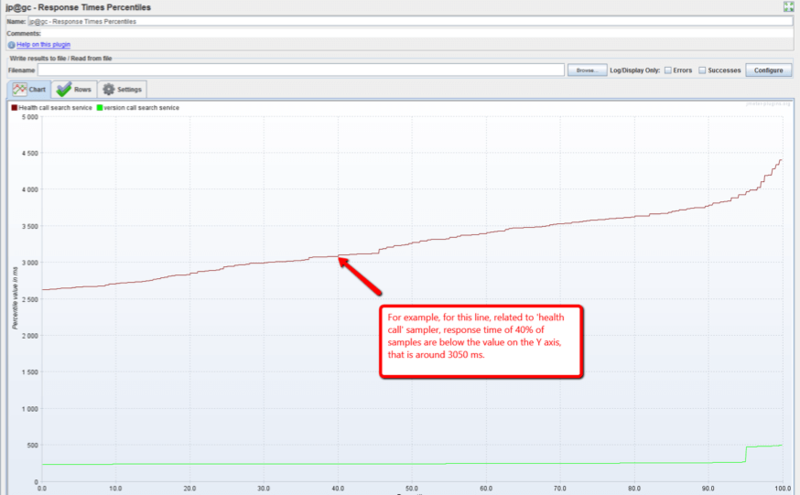 The Bytes Throughput Over Time listener shows the number of bytes that were sent and received, per time unit, throughout the test. There are two graphs in this chart: one shows the number of bytes sent, the other shows the number of bytes received over the test. This graph gives information about the bandwidth consumption of the system and can be correlated with the response time information during the analysis. The Hits per Second listener provides data about the number of samples executed over the period of time. Correlating the Number of Users and Hits per Second lets us simulate and measure the types and loads of usage of the website. This listener shows the response codes rates from all samples per second over the test length. This graph is extremely useful in cases where the system often responds with error codes or when you need to differentiate different response codes. This listener displays the latencies for every sample of the script over the test length. 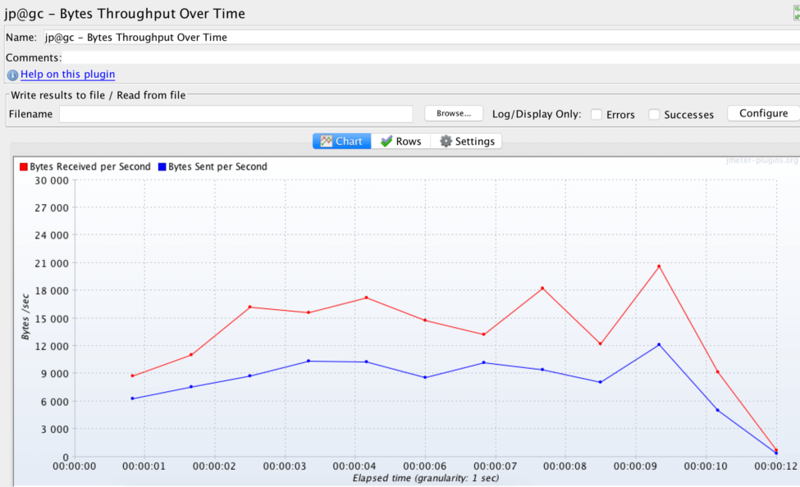 As the latency is the connect time plus server processing time, this graph provides the information about the time the tested server spends for the processing of the requests (samples). 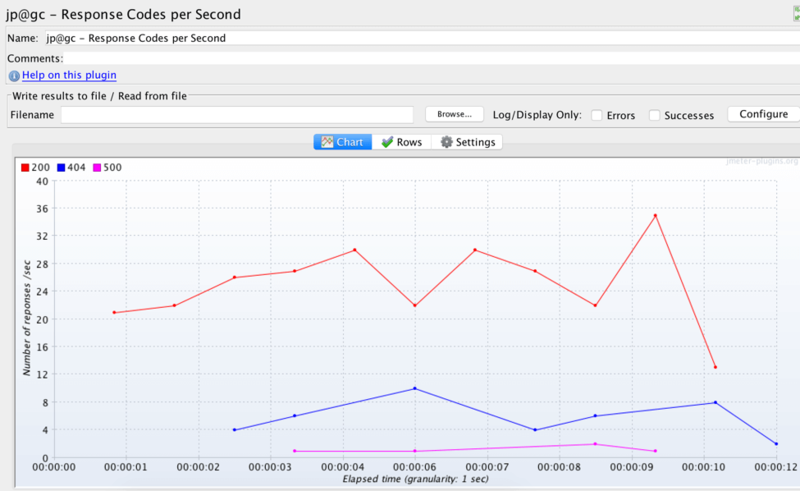 The Response Times Distribution listener displays the response times of each sample in bar chart form. The response times are grouped by their durations. Each group is an interval, for example from 0 to t ms, from t ms to 2t ms, where t is the configured step under the settings tab of the listener. For each group, the distribution of the number of samples of each sampler is displayed in a bar. The graph shows the proportion between samples according to their response time. This listener shows the response time variation for each sample over the period of the test. This listener shows the dependency between the percentile and the response time, and you can see the response time for any percentile. 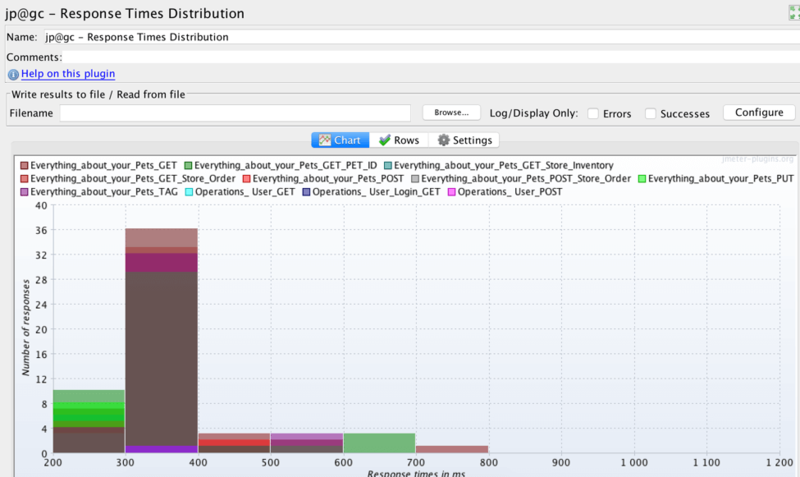 Percentile differentiation lets you split up your user group into different sizes and analyze their experience. This listener shows the change of the response time through simultaneous threads. As a rule, the more active simultaneous threads are, the longer it takes the server to respond. 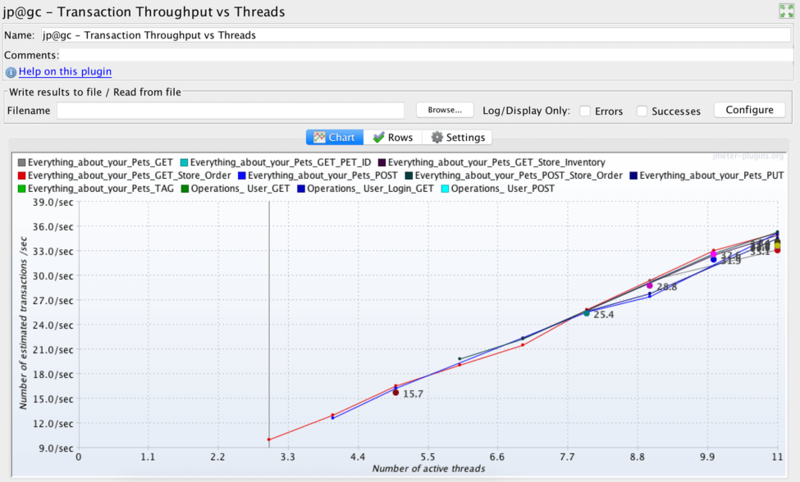 This listener shows the change of throughput through simultaneous threads. 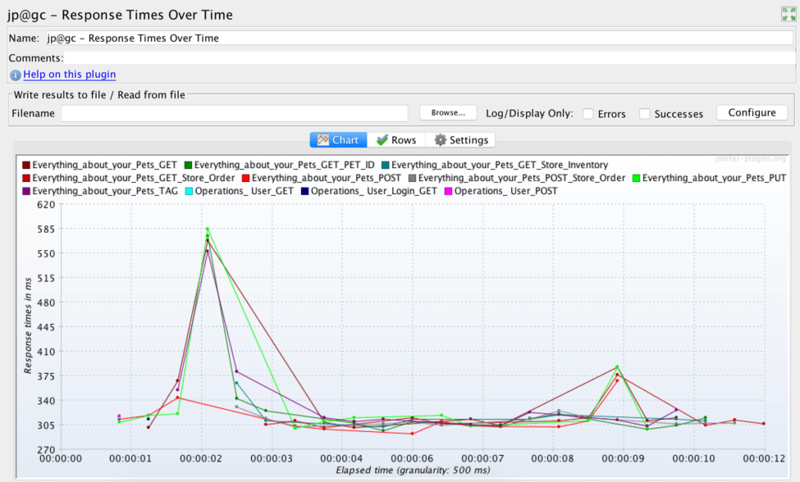 This graph is similar to the response time vs. threads graph while examining the throughput instead of the response time. 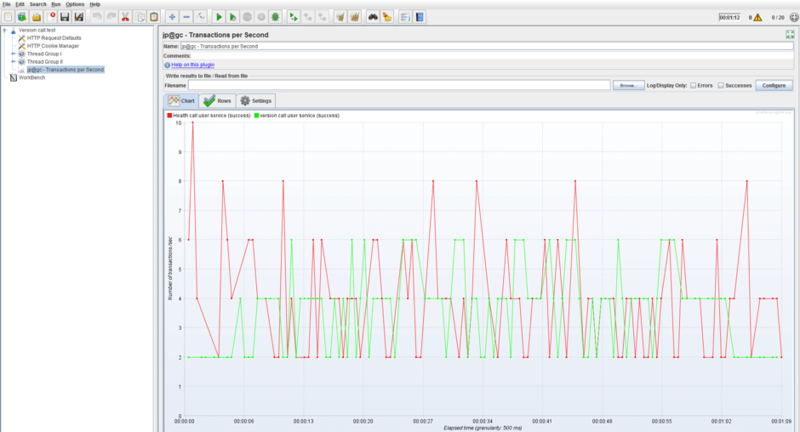 This listener shows the number of transactions per second for each sampler. This gives us insight into the load the system was dealing with. That’s it! You've finished learning about the third group of JMeter listeners. Stay tuned for the next part, which will be about listeners that can be customized for your needs.